Wick Academy manager Tom McKenna. 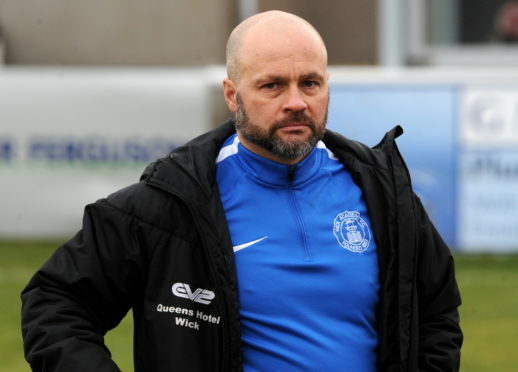 Wick Academy boss Tom McKenna insists his side have no reason to fear Cove Rangers in today’s Highland League Cup semi-final. 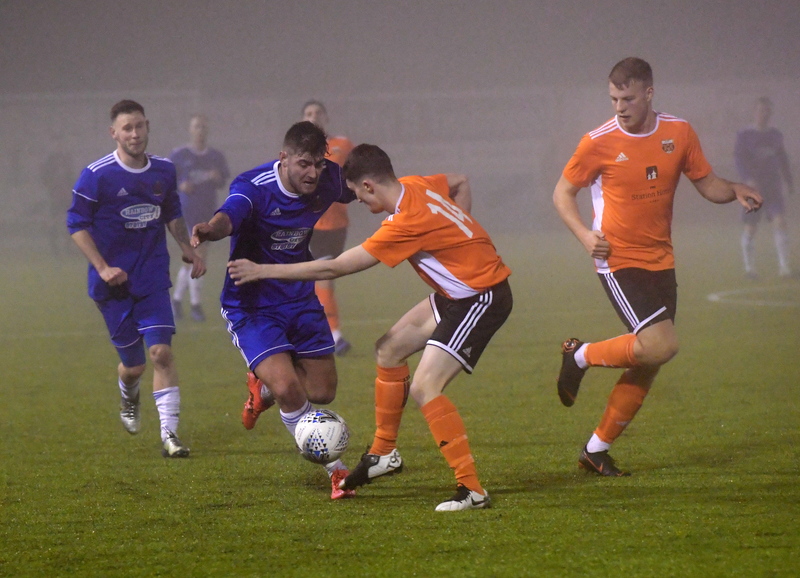 McKenna sees it as Wick’s biggest game of the season as they look to upset the league champions and book their place against either Formartine or Brora in the final. The Scorries have beaten Fraserburgh home and away this season, while also taking points off Formartine and Inverurie Locos. They will have to do something similar on their travels against Cove this afternoon, who have only conceded three goals at the Balmoral Stadium since November. McKenna said: “We have to have self-belief and confidence and we don’t have any trepidation at all. It’s a one-off game that we want to enjoy, savour the experience and play without fear. “It would be a big achievement (to win) but at the end of the day we have a lot of quality in this team and that’s been highlighted by people I have spoken to outwith the club. We do go under the radar and it’s probably a good thing; this year we have taken points off the so-called big teams and done it time after time. These are challenges the lads seem to rise to. McKenna will assess Jack Halliday, Jack Henry and Marc MacGregor ahead of the game. For Cove, this represents the first of two vital back-to-back fixtures, with fellow title challengers Brora Rangers in store at Dudgeon Park next weekend. Cove have already won the Aberdeenshire Cup this season and are three points clear of Brora in the league with a game in hand, which puts extra importance on the game for striker Jordan MacRae. Cove Rangers striker Jordan MacRae (left). He said: “It’s definitely the most important period of the season. There’ll be tired legs with a few midweek games coming up and then the Brora game, which is massive for us. We would like to go into that game having cemented our place in another cup final. MacRae joined John Sheran’s side from Nairn County last summer and while the travelling has been challenging, he has benefitted from training with Clach during the week.